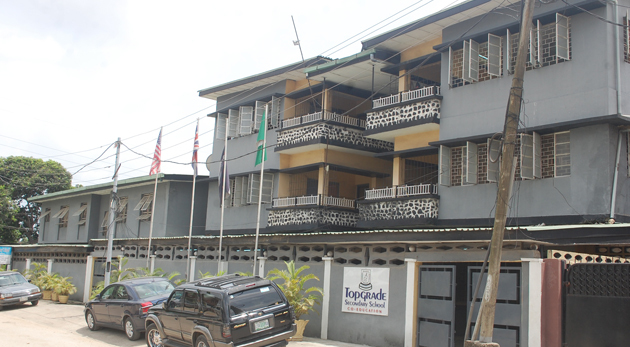 Topgrade Secondary School (TSS) was established by Chief (Mrs.) L.E. Fowler on the 10th of October 1994 at 6, Adisa Bashua Street, Off Adelabu Street, Surulere, Lagos. TSS is exclusively a day co-educational institution. The concept of TSS is based on the fact that private participation in secondary school education is the only way to supplement the government’s efforts in the country. TSS not only provides a balanced education which prepares students to meet the challenges of university life, but plays a unique role in preparing children today for a successful tomorrow. The vision of the school is based on the interaction and integration of the male and female child in a disciplined environment, established to promote healthy competition, leadership opportunities and academic excellence.